If you have an older PC that you haven’t upgraded for a while and consider finally doing that in order to be able to play games in stereoscopic 3D mode you may think that you need to really do a serious upgrade of pretty much everything. And while you may not be that wrong in such an assumption, if you still have a decent processor and enough system memory the only thing that you may need to replace could be the video card in order to “get into the game”. The truth is that in the last few years the GPU has become way more important that the CPU in many areas and when talking about gaming and stereoscopic 3D gaming in particular it is even more important. With a high-end graphics card you may be able to get a good stereoscopic 3D experience even if you processor is not the latest generation and doesn’t have four or even more cores. The reason for that is that we’ve reached a state where the processors have become quite powerful performance wise, so that not that many programs (excluding most professional apps) can take full advantage of them… and the truth is that most games are not able to yet fully utilize the full performance of all the cores in a powerful processor, even if you play them in stereo 3D mode. 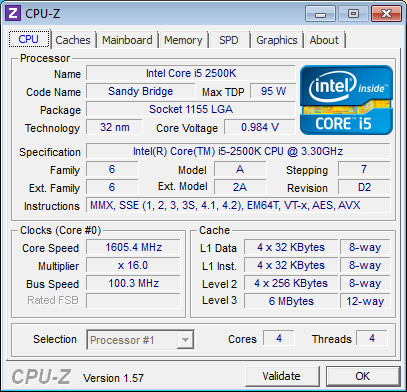 As you can see from the table with results the situation is bad only when just a single core is enabled, the CPU load is hitting 100% while playing a game and the framerates are very low as clearly the processor is not able to deliver enough performance for the video cards to be utilized at their maximum potential. Note that the framerate listed is the average one in stereo 3D mode (the per eye value) and the CPU load in percentage is the one from all available cores. When we have two cores active not all games are hitting the maximum processor load and we can see up to double the framerate in some games as compared to when we have just one core, so clearly Dual-Core is the minimum for a decent experience nowadays. Going to three and four cores active we can see that the CPU load is gradually getting lower and the framerate is going just a little bit higher and the difference between 3 and 4-cores is even smaller. So even if you have an older Dual-core processor you might still be able to enjoy good performance in games, even in stereoscopic 3D mode by just upgrading your video card to a more powerful and recent model and leaving your older CPU, motherboard and system memory for a while longer. So better spend on upgrading the video card now, instead of upgrading the CPU, motherboard and RAM at the moment and leaving the VGA upgrade for a later time if you have a more limited budget. As I’ve already said, the video card is way more important for stereoscopic 3D gaming compared to the processor, so with a more powerful GPU and not so powerful CPU you can still get good performance in games. Of course if you want to push for SLI with more video cards, go for multi-monitor setup and especially for multi-monitor combined with stereo 3D, the faster – the better, but again the video card(s) remain more important that the processor for gaming. So consider that the next time when you think about upgrading your gaming PC.